Yesterday I wrote about the launch of Google AdSense video units, but like I said, no one with an AdSense account was able to use the feature yet. As of last night that changed. 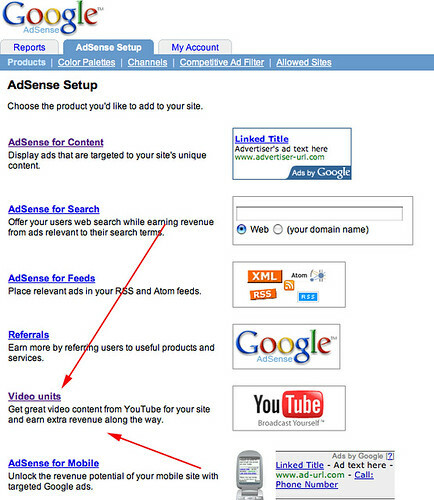 Here is a how to, on setting up Google AdSense Video Units via YouTube. 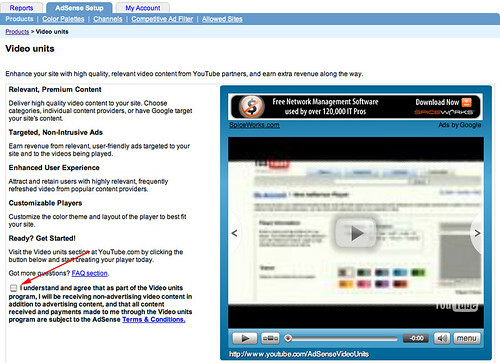 Step 3: Confirm your AdSense account with YouTube (first time only). You are taken to YouTube after you agree to the disclaimer. 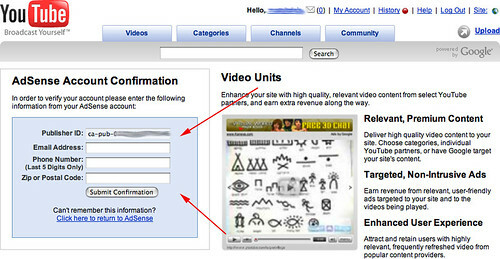 This is where you plugin your AdSense account information, so YouTube and AdSense can communicate. Step 4: When that is done, it should tell you they have associated your account with YouTube. Step 5: Then you set up your first player. You define the player name and description, the layout and the colors also. Step 6: Define the content matching options. You can let Google figure out your content and provide relevant video ads, or you can help with hints or by specifying the content you want on your site. Paste the code into your page, like I did here below and you should see an add related to search stuff. The next time you go to your Google AdSense set up page and click on video units, you will be taken to a page that shows you your old units and gives you the ability to create new ones or remove old ones. 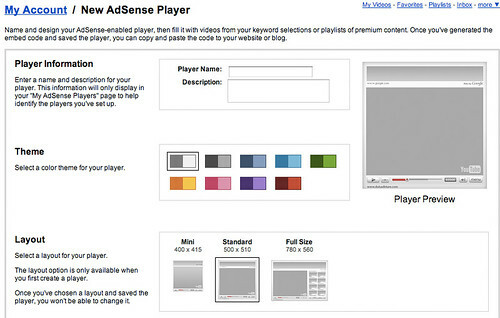 That pretty much is the detailed walk through of how to set up Google AdSense Video Units for the first time.